Dr. Stott shows from the pages of Scripture the uniqueness of Jesus and how He is the center of history. He demonstrates that there has never been another like Him on the face of the earth. 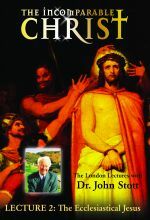 Dr. Stott unfolds how the New Testament, in all of its parts with diverse but complementary perspectives, joins in a chorus of witness and praise to Jesus Christ as Savior of the world and the Lord of history. 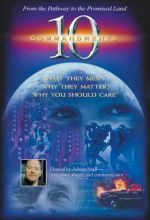 In this final lecture, a two-part presentation, Dr. Stott expounds on the comprehensive and compelling vision of Jesus Christ the living Lord as set forth through the eight visions of the Apocalypse, or Book of Revelation. 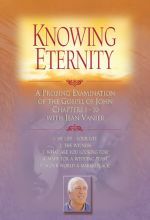 He begins with guidance on principles of interpretation to be used in approaching this amazing final book of the Christian New Testament. He then treats each of the eight visions providing a valuable overview to the entire Book of Revelation, climaxing with chapters 21-22 with Christ's coming as the Bridegroom to claim His bride and the new heaven and the new earth. Over the centuries the church has grown in its appreciation of the fullness of the person and work of Jesus. 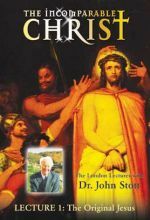 In this two-part lecture, Dr. Stott shows the glory of Christ and what He means for us and our world. 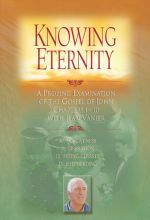 He shows from history how the church has explored the reality of Christ from many directions. He discusses the interpretations, affirming their strengths and challenging their limitations. In this two-part lecture Dr. Stott provides a rapid bird's eye view of the remarkable effects that Jesus has had on some of the greatest change agents in all history. He shows how Jesus has been the motivator, inspiration, source of strength, model and goal for diverse heroic efforts. Nine various case studies are set forth.